There are plenty of good reasons to eat local and seasonal – not least among them taste. Then there’s also the planetary debt of a massive carbon footprint in order for you to eat watery strawberries grown in a Spanish greenhouse during winter. It may cost slightly more to support local organic producers but we think it’s worth it. 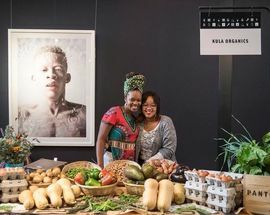 Keeping pace with global trends for sustainable, locally sourced and organic ingredients, Joburg has a range of excellent eating experiences to offer. oobs, or presented in a more rustic style at Il Contadino and La Stalla, where the emphasis is on French and Italian ‘peasant’ styles of cooking such as wild boar ragu. Eloise Windebank from casual fine dining bistro Farro in Illovo is another firm believer in the importance of sustainable eating. 'We are concerned with environmental impact, but on a base level, it is also about offering the best possible product we can – and we can only do that by following what the seasons dictate...In short, produce is not very good when not in season.“ Farro’s menu changes weekly and mixes local ingredients and flavours with Modern European cooking techniques. Everything from ricotta and bread to smoked salmon and pasta is made by hand on site. Serving unfussy and memorable food in a refreshingly chic and intimate space, the added bonus of excellent boutique wines and cocktails plus Farro’s easy-going ambience seduce you into lingering. At the luxurious Saxon Hotel, Villas & Spa in Sandton an extensive herb and vegetable garden ensures the hotel’s chefs have easy access to a constant supply of the freshest ingredients. 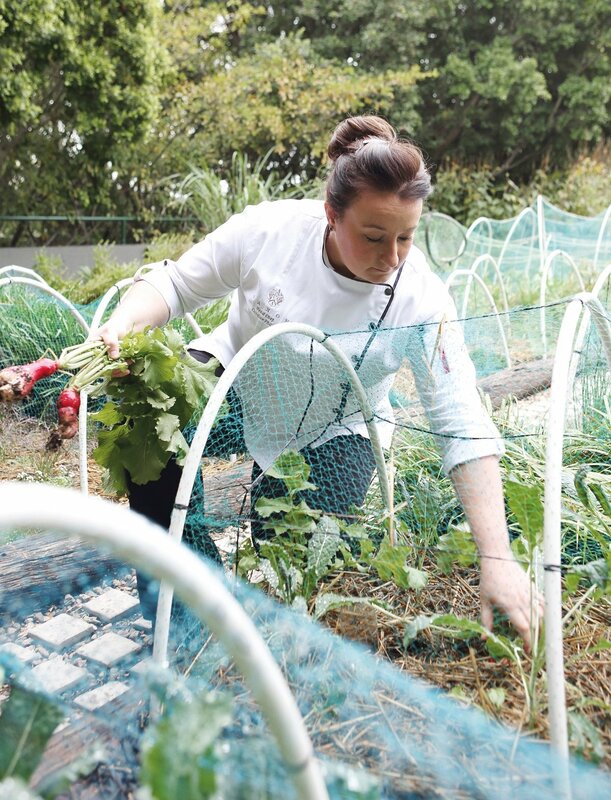 Head chef of fine dining restaurant Grei, Candice Philip, bases much of her tasting menus around the garden’s fragrant herbs to bring enticing aromas, flavours and colours to her unusual pairings. 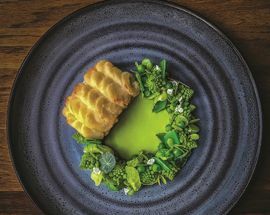 Meanwhile at the hotel’s Qunu restaurant, Australian chef Jane-Therese Mulry has taken inspiration from the abundant supply of seasonal fruit and vegetables to create an exceptional fine dining vegan-vegetarian menu. An emphasis on carefully sourced ingredients is seen throughout the menu at OneNineOne restaurant in the Hyatt Regency, from the Farmer’s Market breakfast where the buffet tables are laden with farm-fresh yoghurt, raw unfiltered honey and even home-brewed Kombucha to the regular Kitchen Party events where guests are invited into the kitchen to learn about the cooking process. 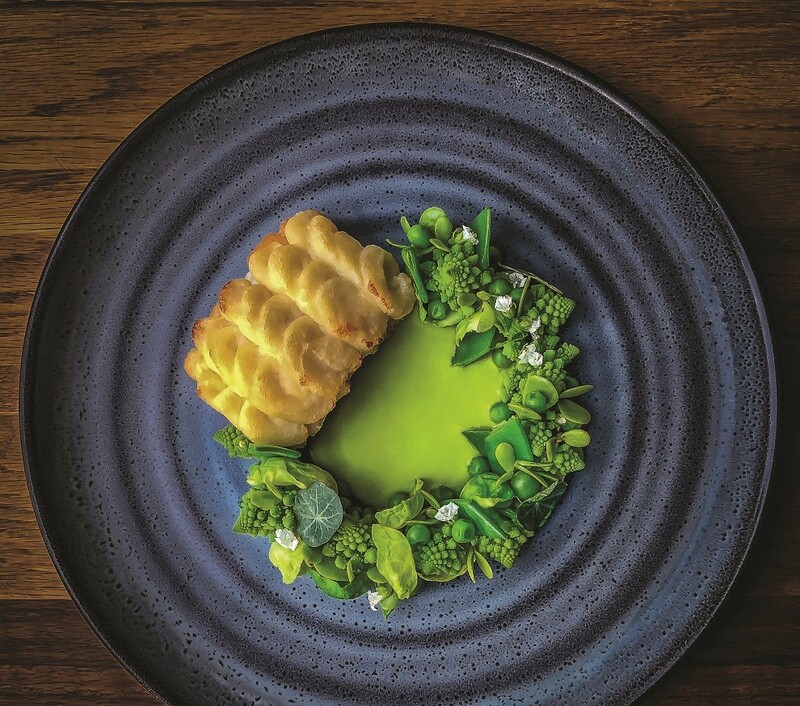 Head chef Xavier Francis believes that food should be 'thoughtful' and considered in a 'caring way' and all ingredients are sourced from local organic suppliers. 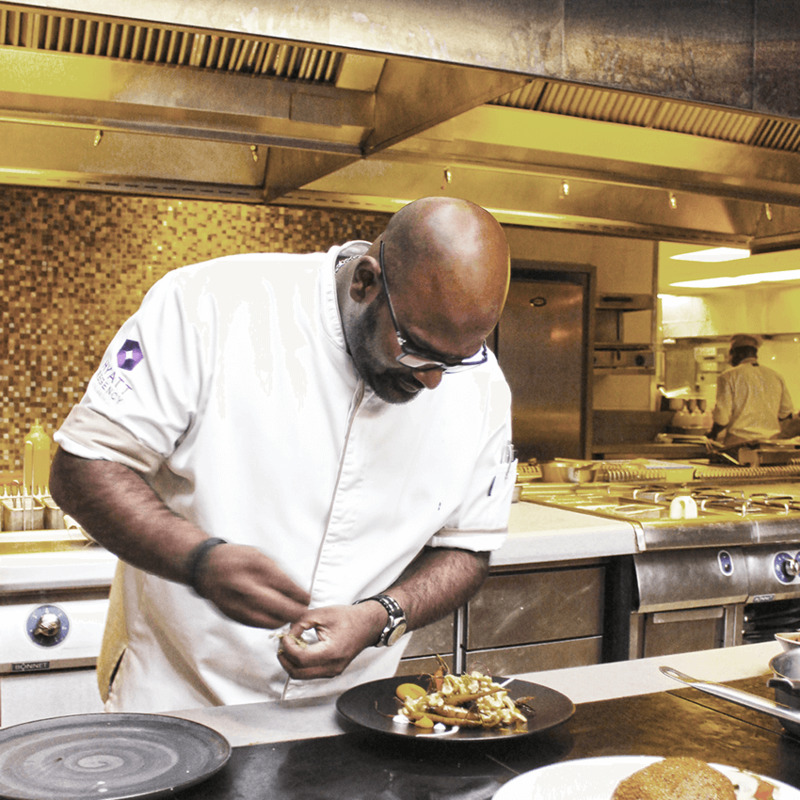 “Food is meaningful; it’s personal and I want every dish to be perfect in look, touch, taste and smell" says Xavier. "Our menu is a showcase of local produce and the natural ingredients we have at our disposal. From the lamb to the small mustard seed we put before you, we know the person who tends to it and grows it". 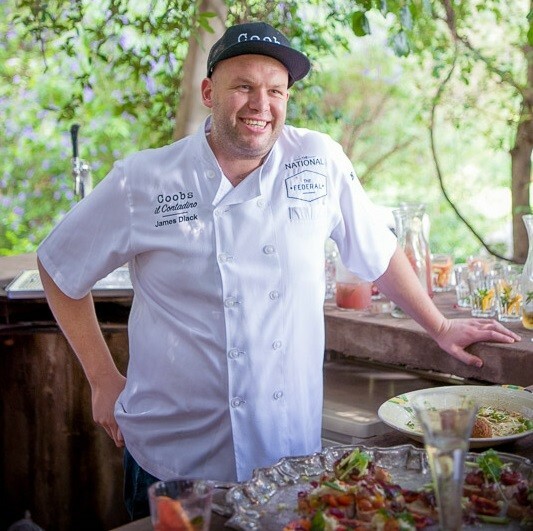 Travel 40 minutes north of Sandton into the countryside and you’ll find places so dedicated to farm-to-fork dining that you can actually eat at the farm itself. Stand out destinations include Antonia De Luca’s Leafy Greens, a colourful vegetarian café located on her family farm in Muldersdrift. Perfect for a leisurely breakfast or harvest table lunch en route to the Cradle of Humankind. Nearby, The Culinary Table, next to Lanseria Airport, is a great venue if you appreciate organic, farm-fresh produce but aren’t on a plant-only diet. Originally a kitchen equipment showroom, it is now a café and deli surrounded by extensive vegetable and herb gardens. Everything is made on site and open kitchens mean you can delight in the process of bakers pounding dough, chefs handcrafting pasta and butchers spicing up sausages and biltong. The Kitchen at L’Antico Giardino, also in Lanseria, is a weekend eatery situated in a beautifully restored farmhouse. Expect hearty breakfasts and laid-back lunches made with fresh produce sourced from the area, and enjoyed under the trees overlooking the gorgeous gardens full of statues and fountains. 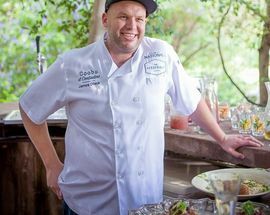 The menu is centered around local produce and seasonal ingredients and changes every four weeks. Of all the places in Joburg wholeheartedly dedicated to organic, free range and healthy living, Bryanston Organic & Natural Market is a pioneer, in business for more than 40 years. Open from 09:00–15:00 every Thursday and Saturday you'll find more than 130 stalls selling organic foods and eco-friendly health and wellness products, as well as a superb collection of clothing, arts and crafts made using traditional techniques and sustainably sourced materials. Head to Meera’s for traditional – preservative- and colourant-free – Indian cuisine or try the cakes at Bettina’s Café. Leafy Greens also have a stall here called Antonia’s, selling the same class of delicious salads available at their Muldersdrift café, while the counter at Graziella Marani's is a colourful spread of Italian antipasti, cheeses and delicious pastas. 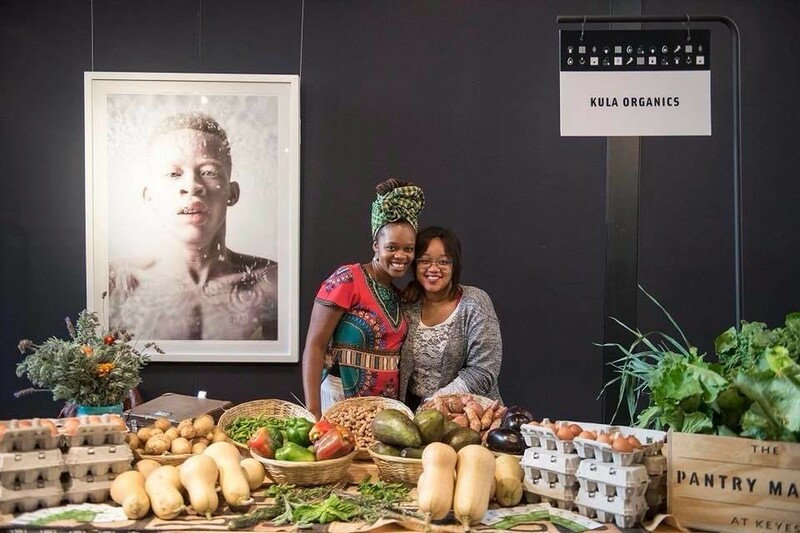 Another smaller organic market to look out for in Joburg is The Pantry Market, a pop-up organic food market held on the third Saturday of the month at Keyes Art Mile (19 Keyes Ave) in Rosebank. Happily for those who are trying to live a life free from single-use plastics, there’s not a plastic straw in sight. The market also showcases an interesting speakers list on related topics. There are few better ways of eating sustainably and environmentally consciously than sticking to a vegetarian or vegan diet. 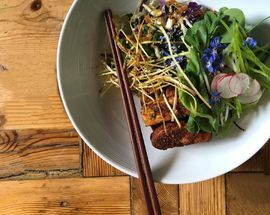 South Africans may love their steaks and grilled meats, but finding decent meat-free meals in this city need not always be a chore. 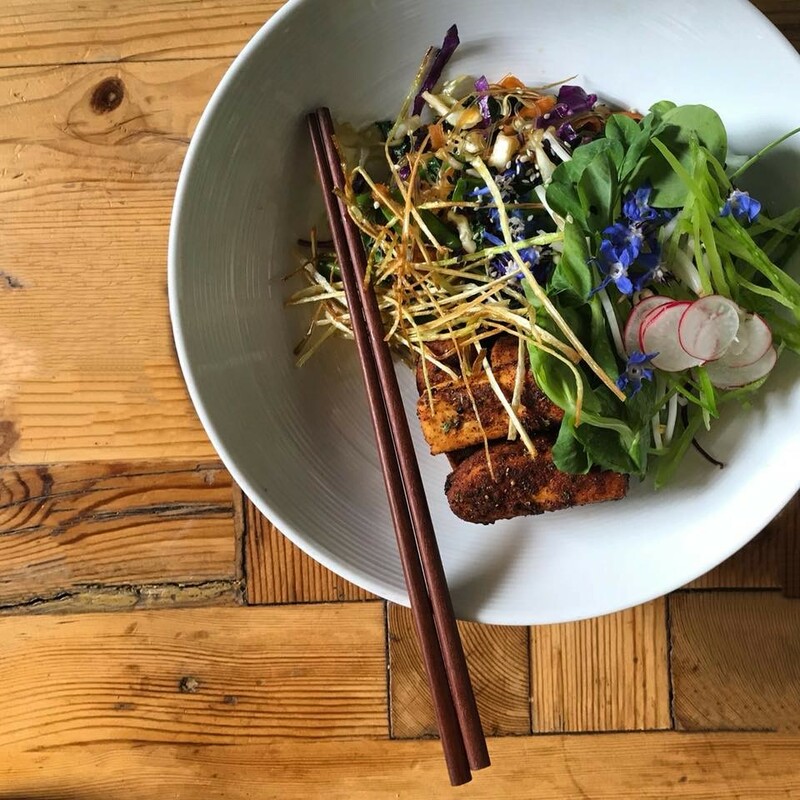 In recent years Joburg's vegetarian restaurant scene has grown considerably and there are now more vegetarian options than ever. Baps Shayona is a pure Sattvic (based on Ayurveda yoga philosophy) vegetarian restaurant, deli and spice shop in Mayfair. The catering arm of the Hindhu Swaminarayan Temple, Baps Shayona is staffed by a group of dedicated volunteers and is run as a non-profit enterprise benefiting local charities, dedicated to the philosophy that “in the joy of others lies our own”. You'll find the restaurant abuzz with locals from Mayfair’s south Asian community enjoying delicious thalis, Indian street food and the best masala dosa in town. In Bryanston's Hobart Corner Shopping Centre Fruits and Roots presents a tasty daily buffet feast that gently puts those with food intolerances at ease with lots of gluten-free, preservative-free, fresh, healthy food plus an indulgent selection of sweet treats. A health-food emporium, Fruits and Roots also stock a wide range of supplements, nutraceuticals, groceries and organic household products. 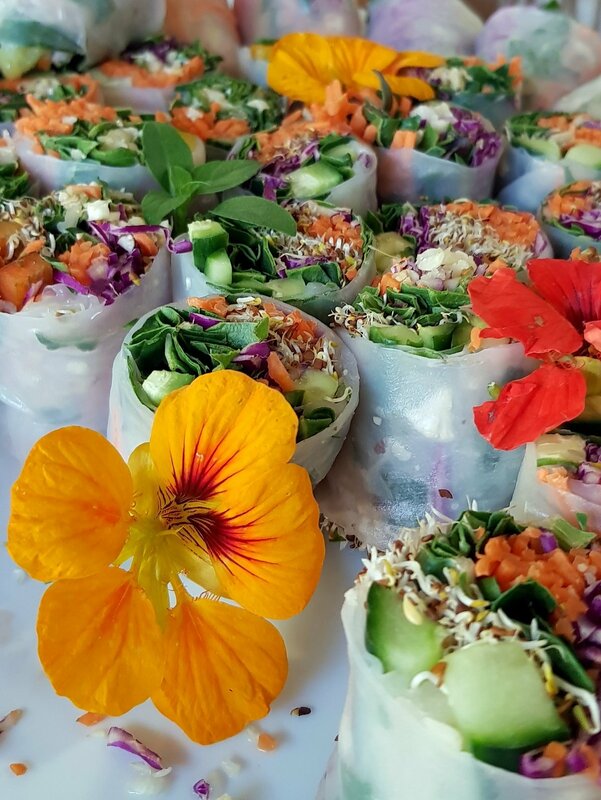 One of Joburg's longest running vegetarian restaurants Greenside Cafe is a bright and welcoming place serving raw food, fresh juices, wheat-free pizzas, delicious salads and decadent desserts that are so tasty even non-vegetarians won't be put out. Meanwhile in Melville The Great Eastern Food Bar is a great compromise for vegetarians with meat eating friends. Not exclusively vegetarian or vegan, but you'll nevertheless be delighted with the interesting choice of small plate options at this excellent Asian restaurant set on a rooftop overlooking the Melville Koppies. Favourites include the vegetable or kimchi gyoza dumplings, lemongrass and coconut noodles, deep fried agedashi tofu and a refreshing green papaya salad.